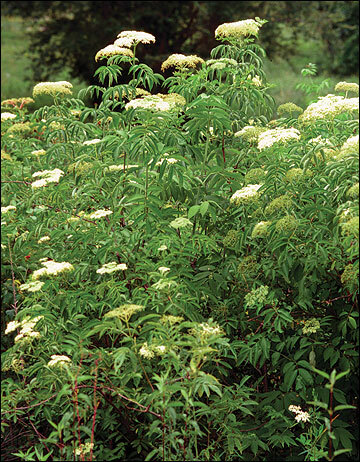 Home / All BambooPlants.ca / Sambucus canadensis. 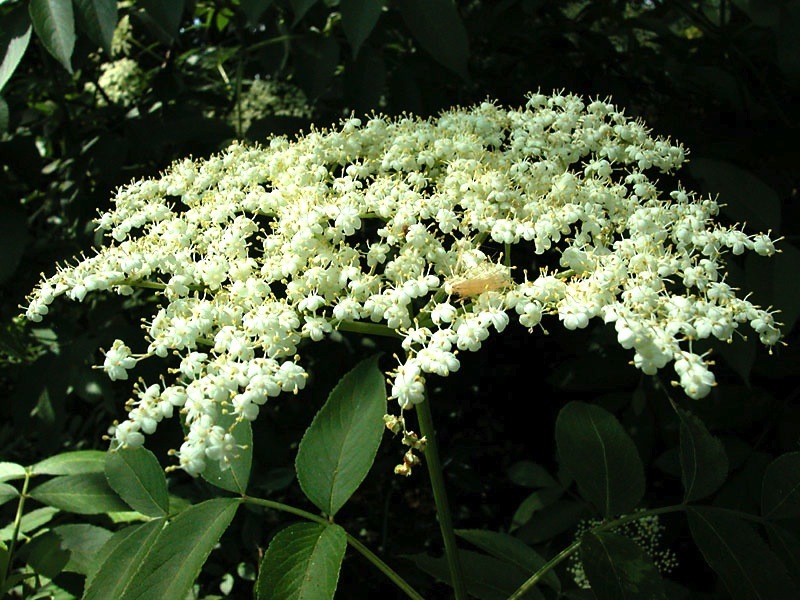 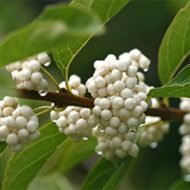 American Elderberry is grown for its large clusters of fragrant white flowers and clusters of deep purple-black berries. 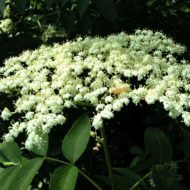 Blooms June and July. 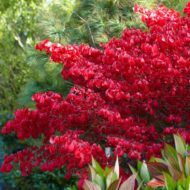 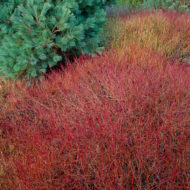 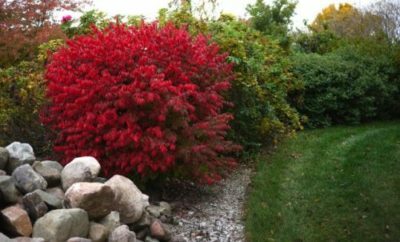 This deciduous shrub grows to 12 ft in both height and width, making it a good hedge or wind break. 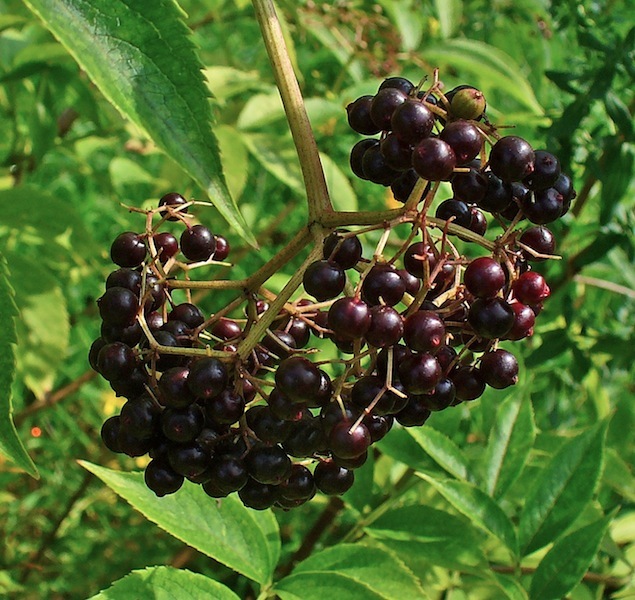 Fruit is used for elderberry wine, jelly, and pie. 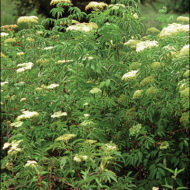 Native to Eastern North America. 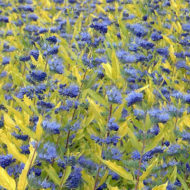 Caryopteris x clandonensis ‘Worcester Gold’.